Ahhhh, Paris. La Villes des Lumières. Paris has always been one of the most impressive tourist destinations – without being overly touristy (d’ya know what we mean?) The city is filled with extravagant structures, beautiful rivers and bridges, incredible food and friendly people (no, they don’t all wear berets and stripy tops) and is known for its art and culture. Because of this, no trip to Paris is complete without a trip to some of the best museums in Paris. If you’re a fan of impressionist and post-impressionist art (which is everyone, right?) 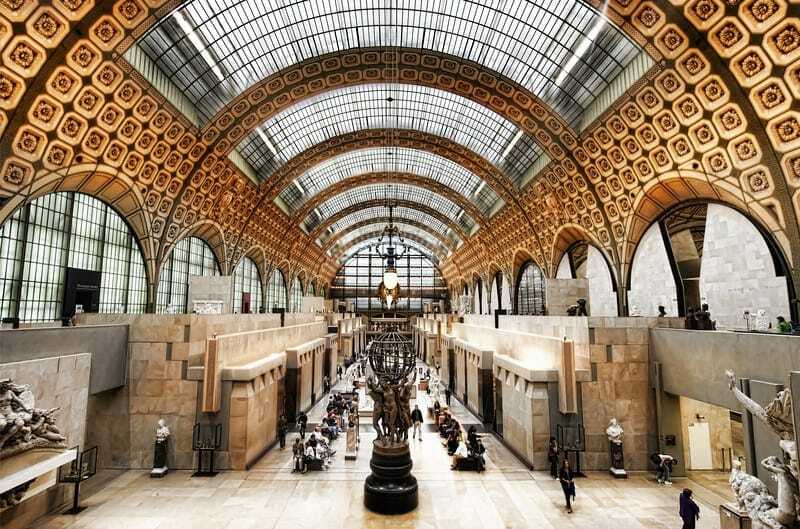 you’ll love the Musée d’Orsay. This museum is solely dedicated to the artwork produced between the years of 1848 and 1914 and features famous artists such as Monet, van Gogh, Degas, Renoir, Manet, Gauguin and more. However, the museum doesn’t just feature paintings and portraits. The Musée d’Orsay also features rough sketches and drawings from famous artists and sculptures, as well as decorative art installations – and some even include umbrella stands! The Musée Rodin is perfect for those people who want to see a bit of culture but also want to embrace elegance, class and a breath of fresh air. 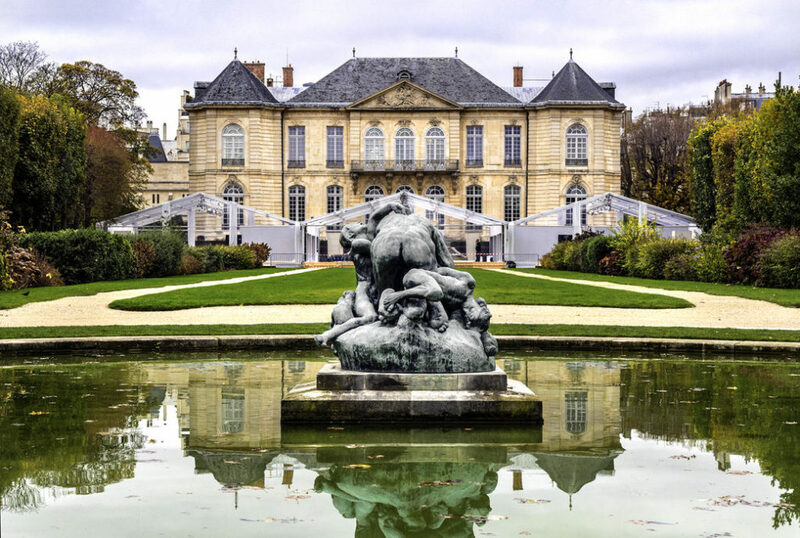 This museum is housed in the former home of famous French artist, Auguste Rodin – and the house is a work of art in itself! This stately home dates back to the 1700s and features Rodin’s entire art collection (generous guy, ey?) Visitors can see his famous ‘The Thinker’ structure for their very eyes, as well as the impressive ‘The Kiss’ and ‘The Gates of Hell.’ Once you’ve finished eyeing up the art, you can then take a wander through the beautiful rose gardens outside. Perfect. The Centre Georges Pompidou building is an impressive bit of architecture. With lego-like walls and the iconic staircase climbing the outside walls, this museum attracts thousands of visitors each year. 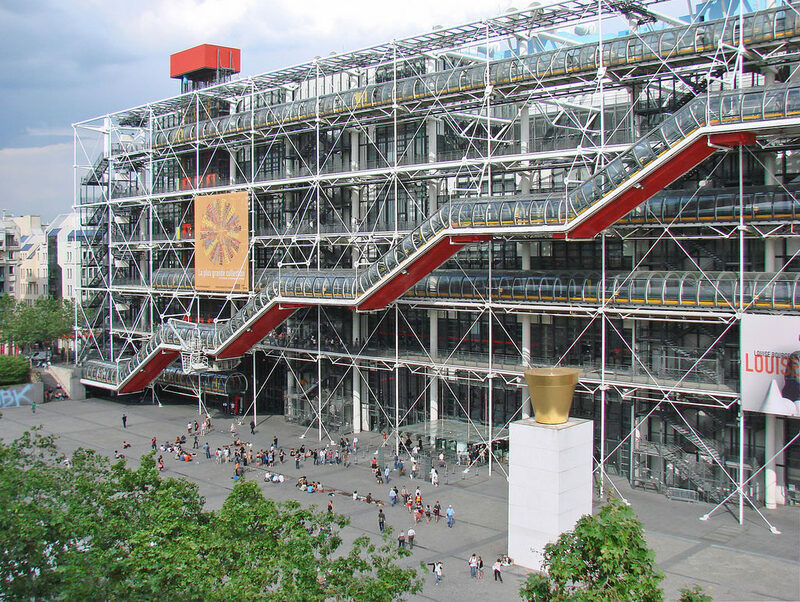 The Centre Georges Pompidou offers its visitors six floors of unspoiled artwork, two of which are solely dedicated to the French National Museum of Modern Art, as well as a plethora of modern art and pop art. The museum also houses one of the biggest art collections of the work of Matisse – so you have to check that out! The piece de resistance lies on the top floor, where visitors can take in an incredible panoramic view of Paris. The Jardin des Plantes or the Muséum National d’Histoire Naturelle is an impressive botanical garden that can entertain the old and the young (and the in-between) for hours on end. With alpine gardens, and Belvedere from the 18th century, hothouses and even a zoo, the gardens themselves are well worth a look. However, inside the garden is the Natural History Museum which features thousands of stuffed animals, skeletons, and interactive areas dedicated to the natural history around the world. Of course, you didn’t think we’d leave The Louvre off the list, did you?! The Louvre museum is arguably the most famous museum in Paris, and one of the most famous museums in the world. So of course you have to check it out! The Louvre takes the record for being the oldest and biggest museum in Paris (and is the biggest museum in the world!) and was once used as a fortress in the 12th century. Nowadays, the Louvre holds over 38,000 artifacts that will take you around nine months to look at if you want a good look. Thankfully, there are guided and visual tours to help you around and see as much as you can when you visit. You can check out the Mona Lisa, Michelangelo’s Dying Slave, the Great Sphinx of Tanis, or the Venus de Milo all in one day! 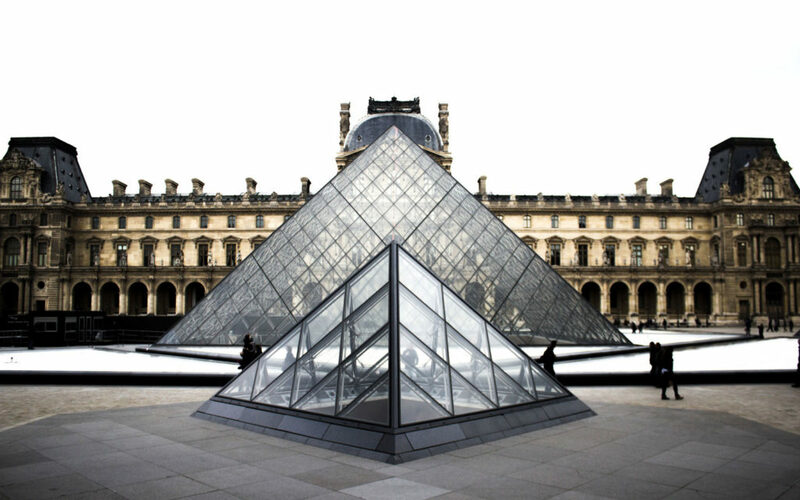 The Louvre is also a great place to see the iconic glass pyramid structure that stands outside the museum – and you could always re-create THOSE iconic Beyoncé and Jay-Z photos (you know if you’re into that kind of thing). Are you thinking about taking a trip to Paris? If you’re into art at all, then a trip to Paris wouldn’t be the same without going to visit one of their museums. It’s a city full of history and culture, having produced some of the best artists in the world. 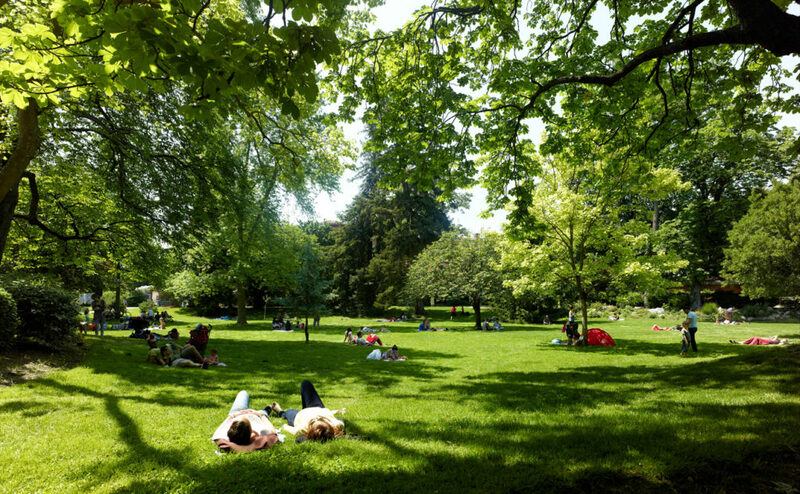 Of course, if you’re more into nature than art, then the Jardin des Plantes will be the place to go. There’s something for everyone in Paris!